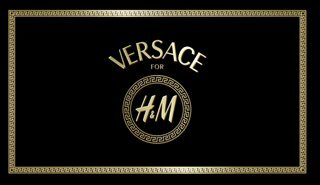 Versace for H&M Collection | Memorable Days : Beauty Blog - Korean Beauty, European, American Product Reviews. Do you remember the past collaborations with H&M? Matthew Williamson, Victor&Rolf, Jimmy Choo, Lanvin and Sonia Rykiel. H&M's next guest designer will be Donatella Versace, the world famous Italian designer. The collection designed by Versace, which is said to take a look back at the Italian brand’s designer heritage, will launch in 300 H&M stores worldwide with an Autumn 2011 collection. I'm excited to see this collection ^^, the logo looks very classy! The womenswear collection will be dominated by dresses that fit right in with the spirit of the season, featuring studded leather and colourful prints, with accessories including high heels and costume jewellery. The men’s collection will focus on sharp tailoring, including the perfect tuxedo, as well as belts and jewellery for men too. @roos, hahah ik moest ook ff 3 x terugspoelen om te kijken wat ze zei xD. look at all the details on the pieces - I cant wait to see the collection! Was very excited when I heard the news. Honestly can't wait! Oeeh dit ziet er weer uit als een leuke collectie! OMG is aw this too!!! I can't wait.. everything is so badass looking! LOL ...I can't wait to see all the pieces! oh I saw this headline on vogue.com! I never get in on time for those collaborations haha. looks good! the first outfit is so aweeeeeeeeeeeesome!! !